Many in the forum seem to know that you can edit Critical Damage from db3 from 195 to 5000000 to do ridiculous crit damage. But you only crit 50% with smash attacks. Plus, it's a hassle to dynamically edit your critical damage because you need to rerun servers again etc. 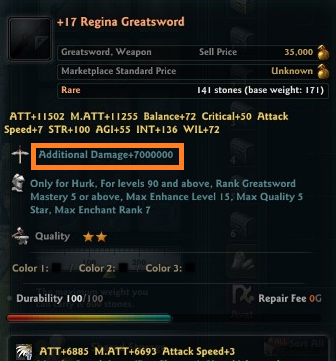 So, change additional damage. As known, +15 weapons have 300 additional damage and this feature is expressed through a Spirit Injection element known as ATK_Absolute. But I think ATK_Absolute has so far been underrated or not even known as Additional damage to many. Step1: Visit Videk with an item and deal with his bs. Step2: From MSSQL, go to heroes-Tables-dbo.ItemAttribute and edit as following, or whatever number that suits your desire. Step3: Do godly damage in all smash attacks. Some characters like spear lann have dodge as a smash attack, fiona has right click as smash attack, all characters have kick(r key) as smash attack, so you actually can 1hit KO anything anytime. Nota Bene: Make multiple items with different Additional Damage parameters. 3000~10000 ATK_Absolute will make your character quite over powered but enough so that you don't need to fight Regina for 30 min but also won't one hit kill it, making the game boring. Whenever you want to one hit kill something simply change a single equipment instead of going back through db3 files, editing crit damage, re-running the servers, relogging in, and only doing 50% of crit-op damage on smash attacks. Last edited by impunity; 10-09-16 at 05:42 PM. I can't see any spoiler tags. Nice servers just loaded up lol. Cool, now I can kill succubus queen with just this godly weapons haha. I just finished editing them ;) Please check if the tags work now. I tried to make it sort of funny as well. I can't see to find 64822 rows on my hero table dbo.itemAlattribute. The max is edit top 200 rows. Last edited by john007; 10-09-16 at 10:31 PM. i am wondering if this works with 1.69 if so how do i do this is there a file i need to switch or something can anyone give me a hand on this please or a tutorial on how to use the mssql to make this work thanks. Last edited by natraz; 17-12-16 at 01:48 AM. Last edited by scorpus09; 05-09-17 at 07:14 PM. Hi everyone, i'm trying to add bonus at Videk but i don't see Element Stone in my database.. 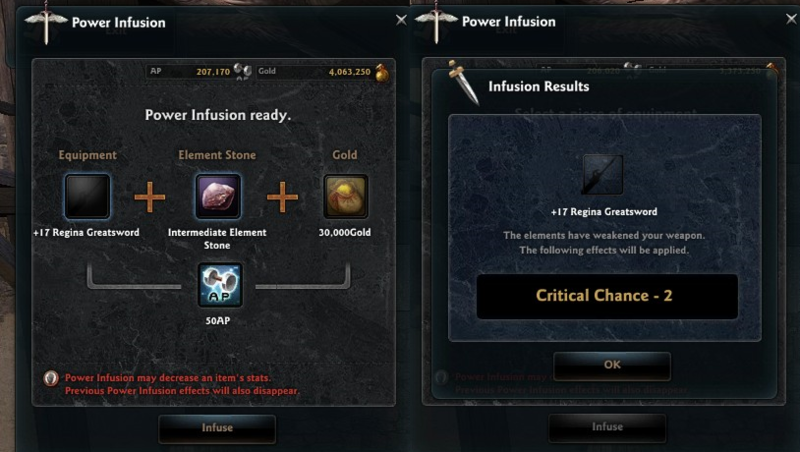 I'm using the 1.65 original MHTW, probably there wasn't Power Infusion in 1.65?? 1)So is there any other way to create 1 Hit-KO item????? 2) Do you also know how to improve Stamina??? ?